Here is a taste of some of the five star resorts north of Patong Beach that are available, including information about the beaches the resorts are located on. Mai Khao Beach makes the perfect destination for a relaxing vacation, the location is a little remote but relatively untouched compared to other beachfront areas in Phuket. 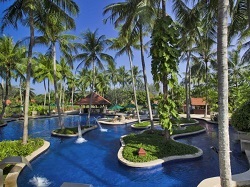 Mai Khao is home to four well known five star resorts, which we have listed below. 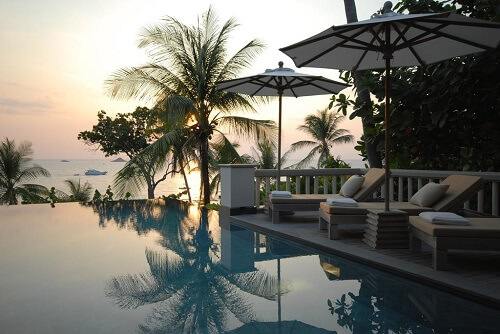 Sala Phuket Resort & Spa oozes luxury. 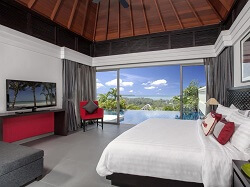 This stunning deluxe pool villa resort is situated directly on the beach and is perfect for couples. Read more on agoda. 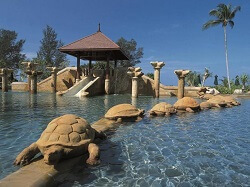 Anantara Villas is perfect for families or a romantic getaway. Villas are spacious and very well presented. Read more. Splash Beach Resort formally known as the Centara Grand West Sands Resort is perfect for a family vacation. Nai Yang is at the southern end of Mai Khao Beach. 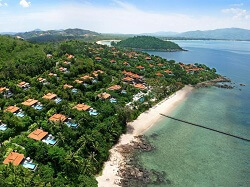 This secluded part of Phuket is the ideal destination if you want to get away for a relaxing beach vacation in one of these luxurious five star resorts north of Patong and well away from all the hustle and bustle. Layan Beach is located at the far northern end of Bang Tao Beach, on the north west coast of Phuket. This is another top spot to stay away from the crowds of the more well known beaches. Trisara Hotel is located over a private bay just 15 minutes from Phuket International airport and north of Bang Tao beach. The Resort offers you privacy with breathtaking views of the sea from all villas and suites. Read more on agoda. 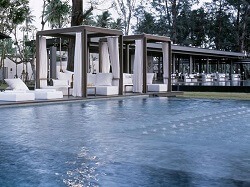 Anantara Phuket Layan Resort offers complete privacy and is the perfect location for a romantic getaway. 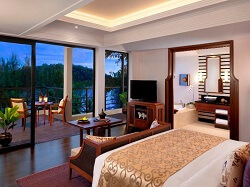 Rooms at the Anantara are spacious and clean. Read more on Agoda. 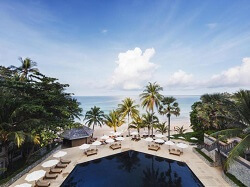 The Pavilions are set high on a hill overlooking the beautiful Andaman Sea; each villa has its own pool, the hotel offers a complimentary shuttle to Layan beach. Read more. 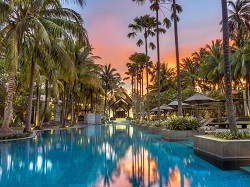 Bang Tao is home to the Laguna Phuket complex, which contains an abundance of five star resorts north of Surin Beach and the world class Laguna Phuket Golf Club. Banyan Tree Resort is ideal if you are after privacy; a great place for a romantic getaway, with spa facilities that are first class. Read more. Angsana Laguna Resort offers endless recreational facilities; a great choice of accommodation for families, with its own very kids club. The kids will love watching the baby elephants stroll through the grounds. Read more on Agoda. 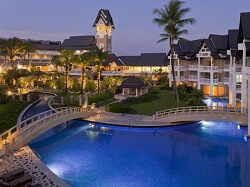 Dusit Thani Laguna Hotel has a fantastic location right on the beach at Bang Tao; offering a complete package, you may never want to leave this resort. Read more. 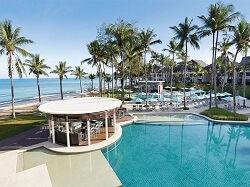 Pansea Beach is home to two upmarket luxury resorts and is located between Bang Tao and Surin Beaches on the North West coast. 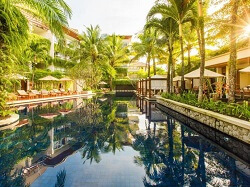 The Surin Phuket is in a quiet location with beautiful views overlooking the private beach, the resort is very hilly making it difficult if you have small children. Read more on Agoda. 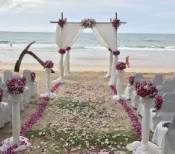 Surin Beach is situated south of Pansea Beach, around 20 kilometres from the Phuket International airport. 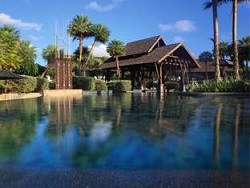 Twinpalms Resort is a stylish boutique resort with spacious and modern rooms. This resort is situated an ideal spot for a family vacation. Read more on Agoda. The Chava Resort consists of luxury apartments that are ideal for family holiday's, business trips or a romantic getaway. Read more on Agoda. 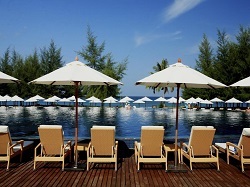 The above resorts are just a sample of some of the best five star resorts north of Patong Beach. 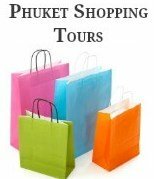 If you would like to stay closer to Patong, have a look at our list of 5 star resorts near Patong or our list of 5 star resorts further south, which are located nearby the beautiful beaches of Karon, Kata & Kata Noi. Our list of luxury five star resorts north of Patong will continue to grow with new resorts being built every year.